After hammering out my first cuff of the Canadianarama Collection, designs took a turn for the freeform. I started cutting the bracelets to follow the shape of the flower instead of cutting the leather and then jamming the flower into the window created by the cuff. 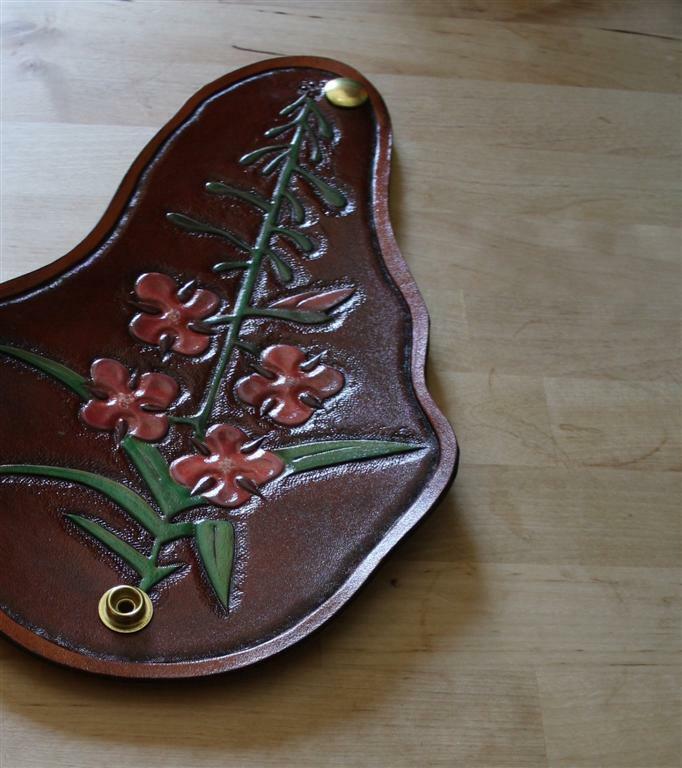 Yesterday I started on a new fireweed cuff – one with a less rigid shape and which shows the entire plant. I’ll have better close-up’s once the snow melts -right now, my main squeeze outdoor photography surfaces are buried beneath- but this gives you a pretty good idea of what the cuff looks like off the wrist. I’m a little unhappy with the snap placement – something that, in my excitement to tool and paint, I didn’t consider until it was too late. However, I’m only down on it when it’s sitting around flat like this. On, it’s no biggie. 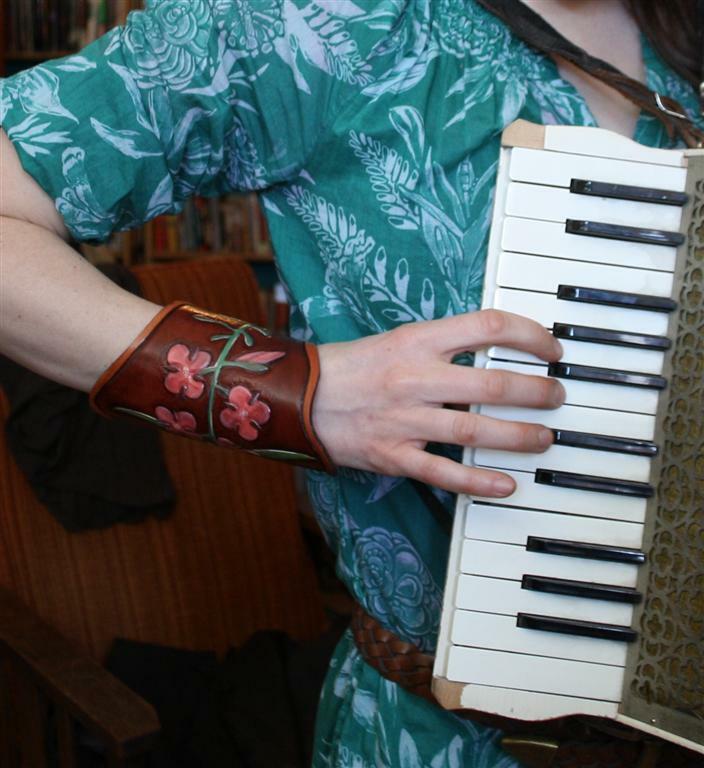 Bet you didn’t know I could play the accordion, right? Right. I can’t. But it makes for an interesting prop. A couple more custom flasks to come!